I've been reading books that advise us to try to eliminate whole classes of moral emotions. Flanagan's and Bloom's cases against empathy and anger are mainly practical or instrumental (and not quite as absolute as their summary statements might sound). The costs of these emotions, they suggest, outweigh the benefits. As responses to suffering and injustice, it's simply that other emotional reactions are preferable, both personally and socially. Rational compassion, serenity, hope, thoughtful intervention, reconciliation, cool-headed justice, a helping hand. I want to push back against the idea that we should narrow the emotional range of our lives by rejecting empathy and anger. My thought is this: Having a rich emotional range is intrinsically valuable. One way of thinking about intrinsic value is to consider what you would wish for, if you knew that there was a planet on the far side of the galaxy, beyond any hope of contact with us. (I discuss this thought experiment here and here.) Would you hope that it's a sterile rock? A planet with microbial life but not multi-cellular organisms? A planet with the equivalent of deer and cows but no creatures of human-like intelligence? Human-like intelligences, but all lying comatose, plugged into simple happiness stimulators? Here's what I'd hope for: a rich, complex, multi-layered society of loves and hates, victories and losses, art and philosophy, history, athletics, science, music, literature, feats of engineering, great achievements and great failures. When I think about a flourishing world, I want all of that. And negative emotions, destructive emotions, useless bad stuff, those are part of it. If I imagine a society with rational compassion, but no empathy, no anger -- a serene world populated exclusively by Buddhist and Stoic sages -- I have imagined a lesser world. I have imagined a step away from all the wonderful complexity and richness of life. I don't know how to argue for this idea. I can only invite you to consider whether you share it. There would be something flat about a world without empathy or anger. Whether individual lives without empathy or anger would be similarly flat is a different question. Maybe they wouldn't be -- especially in a world where extirpating such emotions is a rare achievement, adding to, rather than subtracting from, the diversity and complexity of our human forms of life. But interpreted as general advice, applicable to everyone, the advice to eliminate whole species of emotion is advice to uncolor the world. Flanagan comes close to addressing my point when he considers what he calls the "attachment" objection to the extirpation of anger (esp. p. 202-203). The objector says that part of loving someone is being disposed to respond with anger if they are unjustly harmed. Flanagan acknowledges that a readiness to feel some emotions -- sorrow, for example -- might be necessary for loving attachment. But he denies that anger is among those necessary emotions. A person who lacks any disposition to anger can still love. Bloom says something analogous about empathy. I'm not sure whether I'd say that one's love is flatter if one would never feel anger or empathy on behalf of one's beloved, but in any case my objection is simpler. It is that part of the glorious richness of life on Earth is our range of intense and varied emotions. To be against a whole class of emotions is to be against part of what makes the world the great and amazing whirlwind it is. first just silly to think we can eliminate these response-abilities (or even really manage/regulate them in populations), but yes without say righteous-anger we would likely lose much of the motivations that fueled movements like the US civil rights movement or the Revolutionary war. Thanks, Eric. I would argue that it is a gift that we have such a rich emotional landscape. Being able to exercise some emotional self-control is a virtue - but eliminating one or more emotions outright would seem to be rather foolhardy. Is it not more likely that as we suppress anger, it will sublimate to something potentially more malicious. "I don't get angry - I get even...."
I'd like to suggest that the idea that we get angry in defense of a loved one is actually a narrow example of a much more generalized concept with a long history in the Judeo-Christian wisdom tradition - that of righteous zeal. Zeal can be, and often is, misdirected. But if we are concerned about the possibility of tyranny, oppression and injustice, then we might want a population that is capable of rising in anger (righteous zeal) in response. I full-heartedly agree with your advocating for a full-range of emotions. Thanks for sharing your review! Eric, in my opinion you are right. You could argue that what they have done is shave off a certain dimension of risk and vulnerability. Anger provokes us to change an unjust situation -- but we might fail. Empathy actually entails emotional pain if the person we care about is suffering -- that's why it's different from simply making a rational judgment of what would be better. I think the motivation is to avoid grief. But the problem you have diagnosed is that if you prune your emotional life so as to avoid grief in the same stroke you eliminate the possibility of joy. As much as some people want to point to Buddhism (or newer forms of Hinduism) as guidelines suggesting that we "remove emotions," that's 1) not quite an accurate representation of either religion and 2) part of the reason why countries in which one of those religions predominate tend not to have what we'd consider good (in the moral sense) reactions to tragedy (as someone who's background is South Asian, I can't tell you how crazy it drives me when people take a detached, "it's all part of the great wheel" attitude to large scale, preventable, disasters). More generally, I think that a lot of this is rooted in a misunderstanding (a la Kant) of human animals as being defined by the rational and as the only animals capable of moral action. Both of these things are pretty much not correct, and people need to get over it. Hurrumph. Get off my lawn! If there is some space of possible emotions, it seems unlikely that humans happened to evolve the ability to experience all of them. In that case, it's possible that we could engineer (or observe in aliens) emotions unknown to us. If we did want to engineer new emotions, what types would we want to experience? I think it's a somewhat reasonable argument that we might simply want to experience a broader range of emotions, but I also think we would consider developing emotions that are useful to us in some way. If we were to use both criteria for new emotions, I don't see any reason why we couldn't do the same for our current emotions. My point here is, if you were to imagine a distant world while also considering all the possible emotions we don't currently have access to, is there a point at which you would stop wishing additional richness on the people of this distant world? If so, then I think we can make the argument that a reduction in the number of emotions we experience might sometimes be a good thing. Anger has a variety of features; an increase in heart rate and skin temperature, distinctive facial expressions, the motivation to harm the object of anger, and of course a particular phenomenological feel. Would the anger of the characters in your ideal world manifest each of these features, and to the same degree as ours does? If so, I don't share your intuition. For example, a world where beings have an anger-like emotion with many of the aforementioned features but with a far weaker motivation to harm seems to me to be better than ours. Anger, as it is for us, often motivates terribly vengeful and destructive behavior. Instead of defending anger and other emotions by saying they make the world a richer and more interesting place, I'd like to delve into why we actually have these emotions. I think it's extremely unlikely that they're a kind of optional "add-on" to our cognitive repertoire. I doubt we would have evolved to have them if they didn't confer important benefits, at least as part of a well-balanced, mature personality. 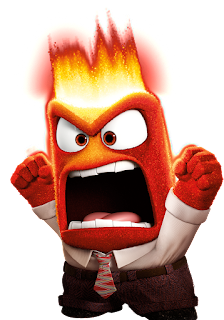 For example, anger ranges from a red-faced spitting rage to much subtler forms - for example, the kind that I harness when I "attack" a math problem. Thought provoking post! One thing that often gets lost in contemporary discussions is the extent to which ancient philosophical programs like Stoicism and Buddhism are supposed to radically transform our cognitive and affective lives. It's not just a matter of wishing really hard to not be angry anymore. It might take years, decades, or (for Buddhists) many lifetimes, but the idea is definitely not "response-block response through sheer will power-be chill." It's to change the initial response itself. I am neither a Stoic sage nor an enlightened Buddha, but I don't think it's a matter of being an emotional zombie. Sages and Buddhas may feel something that has all the motivating power of anger without the deleterious effects on their psyches (compassion perhaps?). They may feel emotions we can't understand at all. And getting at your point, Eric, they may feel an even richer and more diverse range of emotions than we are capable of feeling. I personally would like to try to imagine a planet of such beings to see what they have to offer! We need something more nuanced than a forced choice between keeping all of the emotions humans currently experience (at their current levels), on the one hand, and eliminating whole families of emotions, on the other. In ‘Anger and Moral Judgment’ (Australasian Journal of Philosophy 2014) Koji Tanaka and I suggest that anger may play an important role in our moral development but show that this is compatible with the claim that anger should play a minimal role in the emotional lives of the morally mature. And elsewhere I argue that for some agents in some circumstances, anger may be the best tool available to them when responding to injustice. However, there may still be types of anger that all of us would be better off without. Before we can even begin to mount an argument like Nussbaum’s, Flanagan’s, or yours, Eric, I think we need to specify which types of anger, agent, and circumstance we are discussing. Thanks for an interesting post. In line with Ori, Austin, and Ethan's comments, though, the following strikes me as (uncharacteristically!) unimaginatively conservative: almost best-of-all-worldsy. "Here's what I'd hope for: a rich, complex, multi-layered society of loves and hates, victories and losses, art and philosophy, history, athletics, science, music, literature, feats of engineering, great achievements and great failures. When I think about a flourishing world, I want all of that. And negative emotions, destructive emotions, useless bad stuff, those are part of it. If I imagine a society with rational compassion, but no empathy, no anger -- a serene world populated exclusively by Buddhist and Stoic sages -- I have imagined a lesser world. I have imagined a step away from all the wonderful complexity and richness of life." Why think that a world without anger is a less complex world, as opposed to differently--less violently--complex? I don´t think Paul Bloom and Jesse Prinz are proposing to abolish empathy. They recognize its advantages. For example, Bloom writes "In general, empathy serves to dissolve the boundaries between one person and another, it is a force against selfishness and indifference." It is easy to see, then, how empathy can be a moral good, and it has many champions ". But they also point to its limits: we do not usually empathize with the very different, and there are circumstances in which following a rule or a law would be more effective. I find that their work is very valuable precisely because it points to the less perceived aspect of a capacity that many consider the universal panacea. To me, emotions aren't genuine unless they are in an actual service. There's no point having a plethora of ingenuine emotions, I think. Of course, are a range of emotions largely redundant in todays society? Thus they can't have a genuine expression? Why'd we build society that way? Never mind where it's out of ones hands. Sauron triggers a certain set of emotions - and I think you find various countries warring so they can have their emotions triggered genuinely, rather than having peace...and being less. War, hurgh! What is it good for? Absolute...for obtaining an emotional absolute. If we read with the principle of charity, and pay attention to the various manifestations of Bloom on the subject, where he recognizes the positive aspects of empathy, we can interpret that the title of his book (Against Empathy ) and some of his verbal statements ("I write against empathy"), are simple provocations, legitimate in my view, to convene readers. He emphasizes that many decisions on public affairs would be more equitable without empathy, since empathy could move us to injustice. He says that, for example, without empathy, we would be better able to do something for global warming, since its victims are invisible. He points out our cognitive limits in relation to empathy (fatigue of empathy), as Steven Pinker does: "The decrease in violence may owe something to the expansion of empathy - but also to faculties such as prudence, reason, equity, self-control, norms and conceptions on human rights. " "Our hearts will be with the baby that fell into the pit, it is the measure of our humanity. But empathy will have to give rise to reason if humanity is to have a future." Although a person has empathy, says Bloom, he may not be motivated to act. Simon Baron-Cohen notes that some people with autism and Asperger's syndrome, although deficient in empathy, are highly moral, have a strong desire to follow the rules. Prinz does not deny the value of empathy either. He even says that we should broaden empathy. But he also points out that empathy should be one of the many strategies available for morality.One possibility would be to combine empathy with feelings of approval and disapproval, with anger or guilt. As it is possible to manipulate with empathy, he invites us to think about cases where deontological frameworks are needed. Tsoudis (2002) found that judges vary their sentences influenced by the expression of emotions by victims and defendants. We are against the murder of one person, even if his death serves to donate organs to five others. In this case it would be necessary to act based on principles and not on empathy. Some studies showed little correlation between prosocial behavior and shared sadness. Many people who showed no sadness in seeing a difficult situation were equally willing to help. Rosa Parks did not win her fight thanks to empathy. It was a question of justice, of human dignity. The problem is that much of our moral judgment is intuitive (fast thinking), and empathy works in that dimension. Justice works at the level of basic principles with the idea that all are equal in rights. Empathy is extraordinary, but it is imperative to be aware of its limits. Thanks for these terrific comments, folks! Based on these comments and others on other social media, I'm thinking about doing a follow-up post. Austin: No, I wouldn't say it should be similar in quantity and degree across the board. A grymes says, that would be too best-of-all-possible-worldsy. But also I wouldn't want to entirely flatten away the intense desires to harm that are part of the human emotional range. John: Yes, I agree with that. Actually, angry frustration at academic problems can be pretty intense for me. Math problems used to particularly bring that out in me, back in the day when I did them. I wonder why. Something about knowing that you can do the proof, not quite getting it to fit together, argh! Ethan: Very nice point. I might respond by distinguishing within-person richness and between-person richness. If there are people on Earth who have extinguished anger in themselves, opening up a whole new range of rich emotional responsiveness without anger, which others tend to lack, I think that's terrific! Maybe there are indeed such people. But I think it's also terrific that there are people who feel intense anger in appropriate situations, if there aren't bad consequences that flow from it (counterweighing its intrinsic value). A world with either type would be a poorer world than a world with both. Unknown: Sure, this is part of the philosophy of feeling! Glen: I see the pull of what you are saying, but I think I still disagree. There is no broad type of anger that we are better off without -- although we could definitely use less of certain kinds, and consequences can outweigh intrinsic value for particular cases, perhaps even for the majority of cases for some types. I'm hoping to do a follow-up post that addresses this. grymes: Fair call on the best-of-all-worldsy sound of some of what I'm saying. Here's how I would respond to your concern: If there is other *compensating* richness then the world isn't worse. But I was imagining it not to be so. And I think that's probably fair to imagine. Compare: The world would be less without Picasso's art. The right response to that is not (I think) to say "Oh, someone else would have done different awesome art". It's a pro tanto thing, that is, in so far as it goes. Now, if it is *necessarily* the case that eliminating anger would lead to the flourishing of a new range of emotions, then my response doesn't work as well and will have to be more complicated. Whoops, I missed Callan! A tough set of questions. Especially tough is the question of the badness of conflict outweighs the goodness of a world rich enough to have conflicts -- a central issue in theodicy. I agree that in the public sphere disqualifying empathy may imply a shift toward jerkitude, but if we understand empathy as complementary to other principles, there would be no reason to fear. I suspect that the possibility of misunderstanding is always present, although even in short articles and in Youtube talks both made it clear that they do not completely disqualify empathy. Authorial intent is relevant because we should read with the principle of charity, and this is also a consequence of empathy. I would agree that to avoid misunderstanding his book might have been titled "Pros and Cons of Empathy. Would more people read the book with this title than with the other? "What will the typical reader remember?" Good questions for a X-Phi experiment. Has anyone written on the downsides of anger (and related emotions) connected with self- and other-manipulation? For example, take Blackburn from his introductory ethics text: "If I expect the world to join with me in condemning someone, I cannot just say that he is my enemy. I have to engage the passions of others by painting him as vicious or odious or depraved: hateful in general." Part of how we do this is by expressing (moralized) anger. In general terms, these expressions send signals to myself and to others about my beliefs and about what I'm likely to do in future contingencies (such as if you don't apologize, or if others don't side with me, etc.). But if Blackburn's quote is right, which seems almost certainly the case, that bakes right into the cake systematic motivations for self- and other-deception (which leaves out entirely the potential for deception wrt third-party signaling phenomena). This would not make a case for eliminating anger entirely, but for being very careful about it (assuming certain values and goals), and perhaps reducing it quite dramatically when conjoined with other reasons. Haven't read Bloom's book, but elsewhere in writings and in recent podcasts, he distinguishes his case against empathy from his approval of Jesse Prinz's case for anger as a motivator for positive moral change. One thing that's always struck *me* at least has always been how similar emotions always feel. If I'm angry at some new injustice a car driver has inflicted on me simply because they refuse to accept that a cyclist has rights, it doesn't feel significantly different from the anger I feel about say some new political injustice or when someone is a bit of an arse in a queue. In fact, every time I'm angry, it doesn't really matter what I'm angry about, the anger feels the same. And yet, every single time I'm also pretty clear about what I'm getting angry about. The anger is about something, but that something is independent of the actual fact and feel of being angry. And that's been true of pretty much every experience of every emotion: happy feels like happy, love like love, sadness like sadness, ad nauseam, all while still managing to stick to the broadly the right bits of the world. What might this tell me about emotions? I can't help but think this suggests that emotions don't actually have much importance in their own right, that rather they're part of the general capacities which let me see a particular kind of content: I'm angry because this act is one that is angering (to unconsciously paraphrase McDowell it seems). Emotions take something relatively flat, contents ("this man is being and arse", which tells me very little about my cognitive life), and turn them into landscapes with contours ("I am angry about this man being an arse", which tells me a lot) and which include things like peaks which motivate me, and troughts which we do not. .
Taken this way surely the danger of too little feeling isn't that life is a little more boring, it's that our cognitive lives lose shape and we suddenly become a little bit aimless: three dimensional beings trapped in a kind of featureless cognitive Flatland, not fully capable of attaching meaning to the things we think or say. Isn't that precisely the lesson we're supposed to draw from evidence such as Phineas Gage? The distinction between psychopath and sociopath is that the sociopath holds some empathic considerations for a few persons in their life, otherwise, they are just like the psychopath! Most -not all- of a comment by Tom Farsides, [Psychology U. Sussex] posted on Bloom's piece in the Boston Review. The comments are have stripped with the new page design, but they're archived here. This whole debate is absurd. Empathy vs "rational compassion"? Bloom should look up the definition of compassion. Bloom is not at all consistent in how he refers to empathy. He seems frustrated when some of his commentators champion other forms of empathy such as trying to imagine others’ thoughts, feelings, preferences, and goals. He implies that only a fool would be against “cognitive empathy”, “social intelligence” and the like. He states that understanding others is either morally neutral (in his reply to commentators) or can be a good thing (in this target article). So, Bloom is against people having experiences that in some sense mirror the imagined experiences of others. Why? Apparently mainly because it is “a poor guide to social policy.” He veers between weak and strong versions of this argument. The weak argument is that ‘feeling with’ others is not an adequate tool to use as an exclusive guide for social policy. Does anyone seriously think otherwise? It is hard to imagine that an essay titled, “Against fellow-feeling as an exclusive guide to social policy” would attract much opposition. Or interest. The strong argument is that ‘feeling-with’ others is always something to be “against” when forming or implementing social policy. The “when” is important. Some of Bloom’s commentators are aware that fellow-feeling may be a helpful or even a necessary step for the development of more sophisticated forms of empathy (perspective taking, shared understanding, compassion, etc.) but Bloom’s point is that ‘feeling with’ others has no place during policy making and implementation. He draws upon a medical analogy. We want health care professionals to have developed other-understanding and other-concern but we usually do not want them to cry every time we cry or wince and scream whenever we are in pain. Similarly, we want Nazis and all manner of other harm-doers to recognise and care when they are causing other-suffering. We do not need policy makers to feel the same pain as those they affect while they are making and implementing their policy. We merely want them to be aware of when their polcies are likely to harm others and to think that this is a relevant consideration. We want them to know that, while perhaps not always a decisive one, dead babies are an argument. ...I really like a lot of Bloom’s work and he seems to be a nice guy. But this is an appalling essay. Bloom knows that “empathy” is a vague term and that many uses of it refer to processes and experiences that are highly valuable in multiple ways. By using the term imprecisely and inconsistently – but contentiously - he is fuelling an academic non-debate of the worst sort, where people who have little obvious real disagreement talk past each other and confusion reigns to no good effect. It is hard to imagine how this makes a positive contribution to anything, perhaps especially social policy.